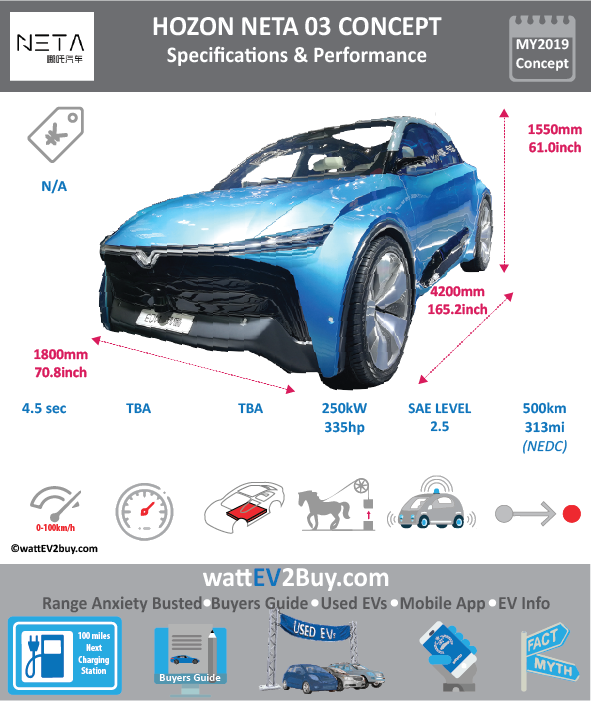 wattev2buy explores the Hozon Neta 03 EV specs, range, price, battery, charge time, and pictures as it vies for a position in the fast-growing EV market. Interested in buying the Hozon Neta 03 EV? See how the price and range of theHozon Neta 03 EV compare with its competitors in key markets. Go to our detailed breakdown of Global EV Sales to see how the Hozon Neta 03 concept electric car fares to its competitors in the fast-growing EV market. Hozon Neta 03 at Guangzhou Auto Show.